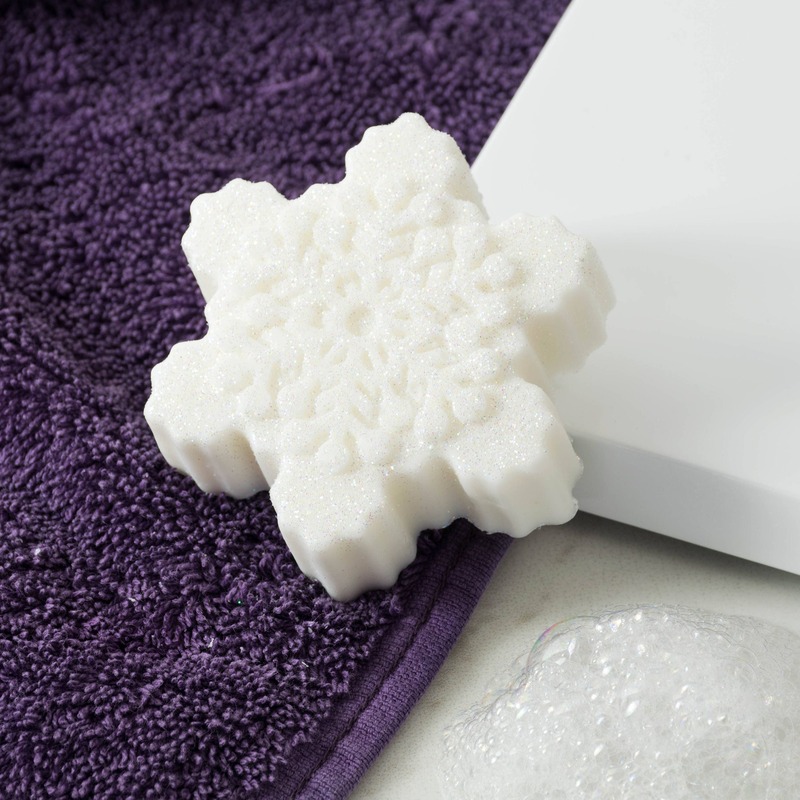 Winter will sparkle with these 4 glistening snowflake hand and body soaps, beautifully scented with allergen-free fragrance 'Winter Kisses'. Sprinkled with Fairy Dust mica so they sparkle and shimmer. 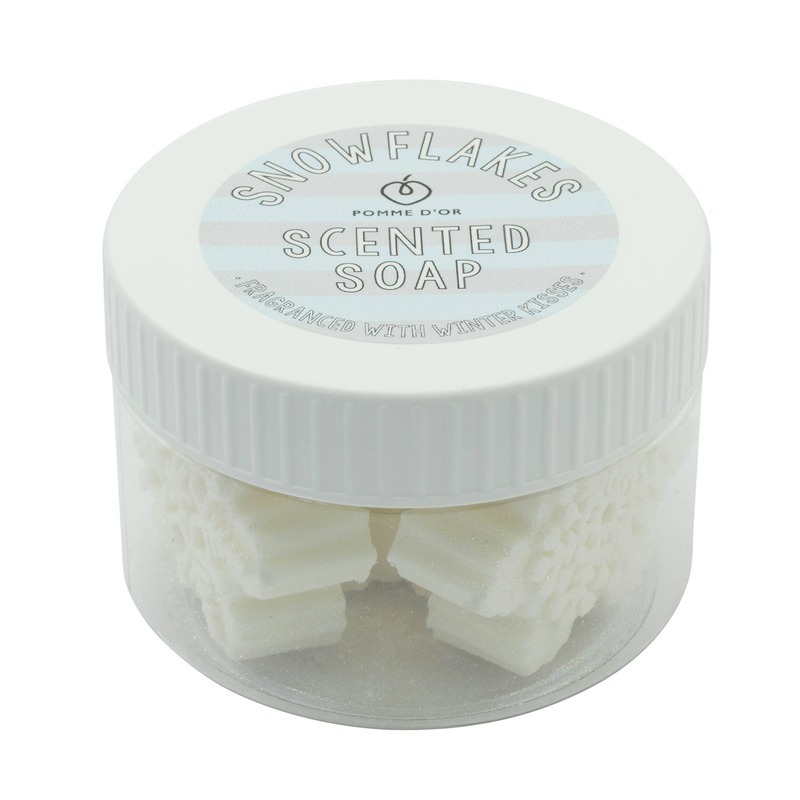 Fragrance: Winter Kisses is a cool, crisp and clean fragrance with breezy freshness. Why kind to sensitive skin? 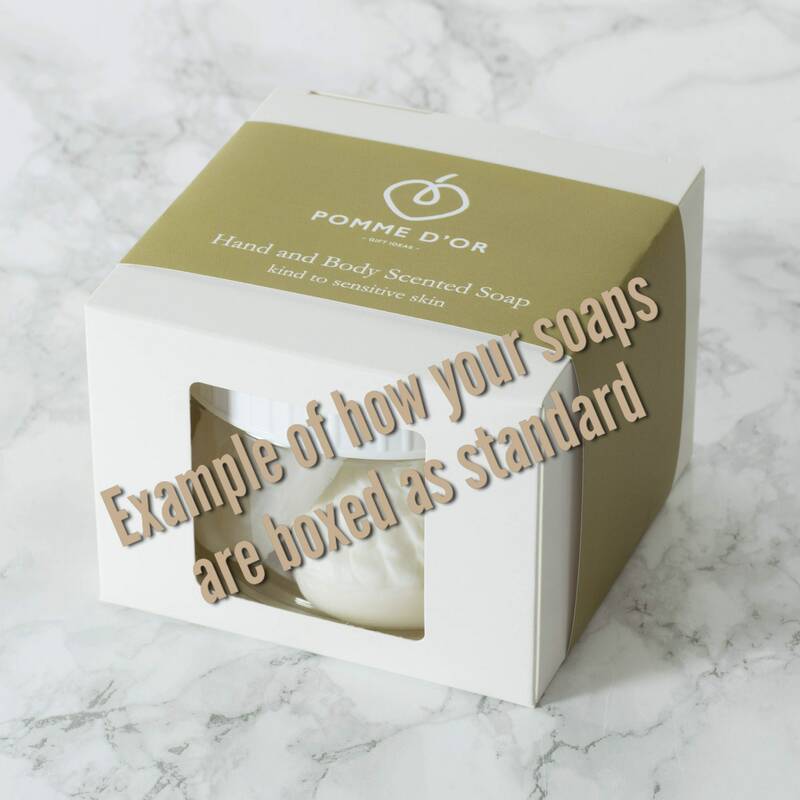 The fragrance is EU approved and classed as 100% ALLERGEN-FREE which is not likely to cause adverse skin reactions, i.e. it does not contain any of the 26 potential allergens as outlined in EU directives. 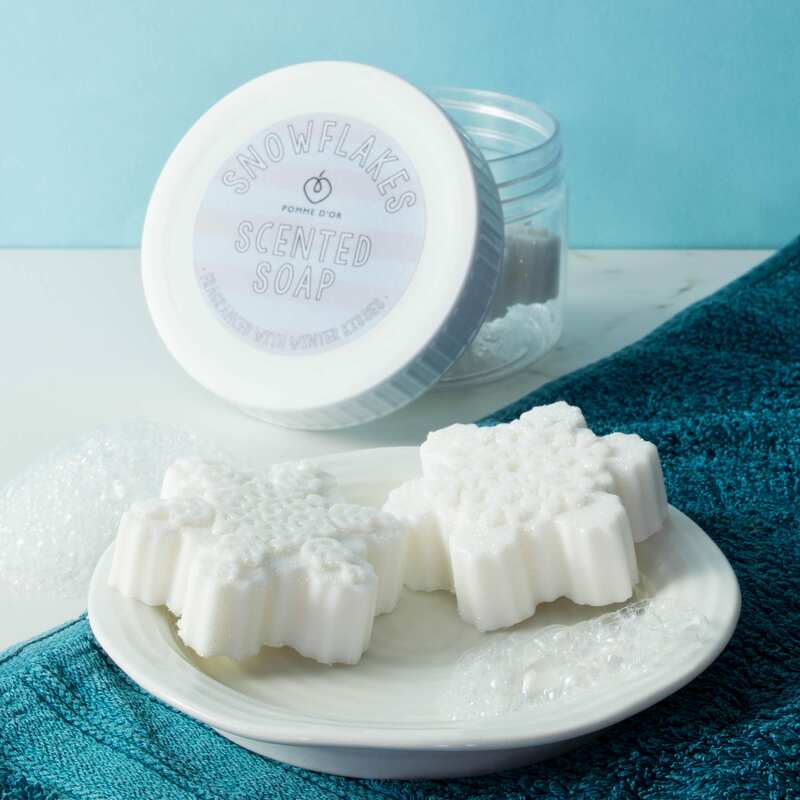 Each tub contains 4 snowflake-shaped soaps. Approx total net weight 300g. 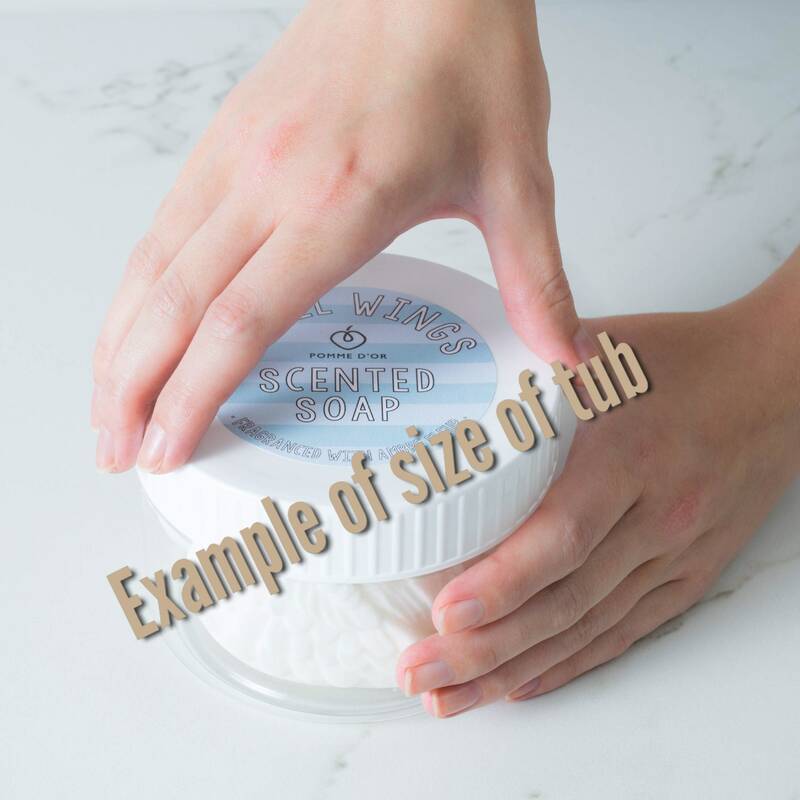 Ingredients: Aqua, Glycerin, Sorbitol, Sodium Stearate, Sodium Laurate, Propylene Glycol, Sodium Oleate, Fragrance, Sodium Myristate, Sodium Chloride, Glyceryl Mono Laurate, Cocamidopropyl Betaine, Cocos Nucifera (Coconut) Oil, Sodium Thiosulphate, Sodium Citrate, Citric Acid, Tetrasodium Glutamate Diacetate, Trisodium Sulfosuccinate, Titanium Dioxide, Synthetic Fluorphlogopite, Tin Oxide, Iron Oxide. This is a plastic-free and glitter-free product. Wow! Just amazing! The perfect gift for my friend that shares the same love as me of everything snowflake. Smell glorious and well and beautifully packaged and lovely surprise of a gorgeous smelling little free gift. Thanks very much! Highly recommend and will buy from again.